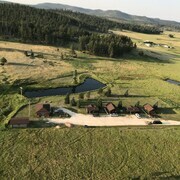 Located in the heart of Lead, this hotel is 0.1 mi (0.1 km) from Black Hills National Forest and 2.6 mi (4.3 km) from Broken Boot Gold Mine. Adams Museum and Days of '76 Museum are also within 6 mi (10 km). 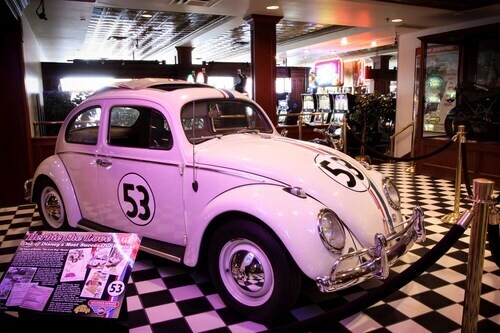 Situated in Deadwood, this hotel is within a 10-minute walk of Black Hills National Forest and Days of '76 Museum. Adams Museum and Broken Boot Gold Mine are also within 2 mi (3 km). 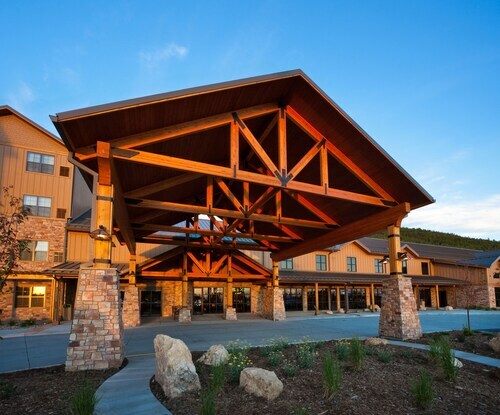 Situated in a rural location, this hotel is within 1 mi (2 km) of Big Thunder Gold Mine and Black Hills National Forest. Mount Rushmore is 2.9 mi (4.6 km) away. 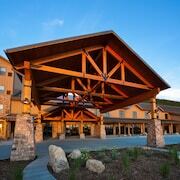 Situated in Deadwood, this hotel is steps from Adams Museum and Black Hills National Forest. Adams House Museum and Broken Boot Gold Mine are also within 1 mi (2 km). 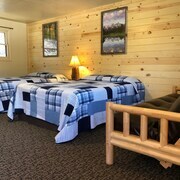 Situated in Keystone, this motel is steps from Big Thunder Gold Mine and Black Hills National Forest. Mount Rushmore is 3 mi (4.9 km) away. 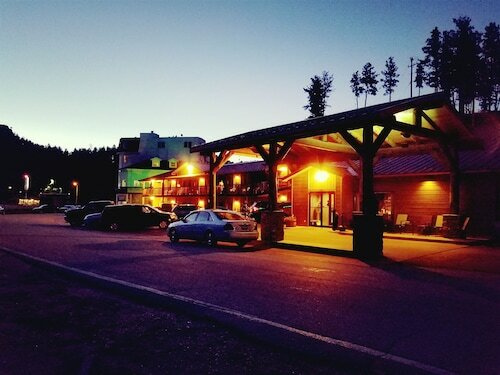 Situated in Custer, this motel is 0.1 mi (0.1 km) from Black Hills National Forest and within 6 mi (10 km) of Crazy Horse Memorial and Custer State Park. Sylvan Lake and Needles Eye are also within 9 mi (15 km). 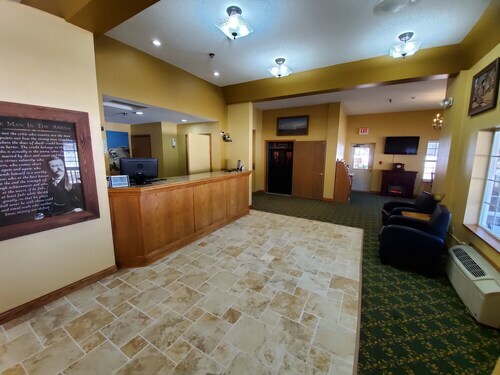 Situated in a national park, this hotel is steps from National Presidential Wax Museum and Black Hills National Forest. Mount Rushmore is 2.3 mi (3.6 km) away. 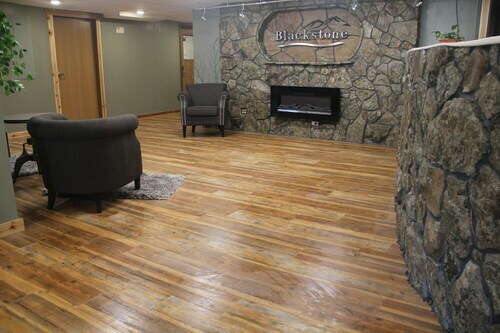 Offering ski-in/ski-out access, this condo resort in Lead is in the mountains, 0.1 mi (0.1 km) from Black Hills National Forest, and close to winter activities such as skiing lessons and snowmobiling. Homestake Gold Mine and Adams House Museum are also within 9 mi (15 km). 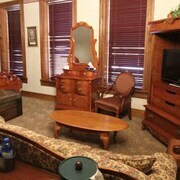 Located in the heart of Deadwood, this hotel is within 1 mi (2 km) of Adams Museum and Black Hills National Forest. Adams House Museum and Days of '76 Museum are also within 1 mi (2 km). Situated in Custer, this hotel is 0.9 mi (1.4 km) from 1881 Courthouse Museum and 1.9 mi (3.1 km) from Rocky Knolls Golf Course. Crazy Horse Memorial and Four Mile Old West Town Museum are also within 6 mi (10 km). How Much is a Hotel Room in Mount Rushmore? Hotels in Mount Rushmore start at $30 per night. Prices and availability subject to change. Additional terms may apply. With 19 establishments in and around Mount Rushmore, visitors here are able to pick and choose. Travelocity customers can research 19 hotels and apartments within a 6-mile (10-kilometer) radius of Mount Rushmore's heart. If you're hoping to find a room that's no more than a pleasant walk from Mount Rushmore's heart, K Bar S Lodge, an Ascend Hotel Collection Member and K Bar S Lodge, An Ascend Hotel Collection Member are perfect. Keystone is an accommodation area that is 1 mile (2 kilometers) from central Mount Rushmore and has 12 accommodation options. 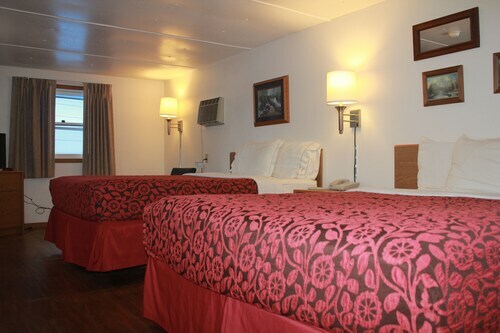 Accommodation options in the neighborhood include the The Lodge at Mount Rushmore and Holiday Inn Express & Suites Mt. Rushmore. Mount Rushmore offers some lower-priced hotel and apartment options that will be sure to delight budget-minded visitors. Additional lower-cost accommodation options include the Coyote Blues Village Bed and Breakfast and the Super 8 Custer/Crazy Horse Area. It's worth checking out the Holiday Inn Express Hotel & Suites Custer or the Holiday Inn Express Hotel & Suites Hill City. The Holiday Inn Express Hotel & Suites Custer is positioned 11 miles (17 kilometers) outside of the center of Mount Rushmore. 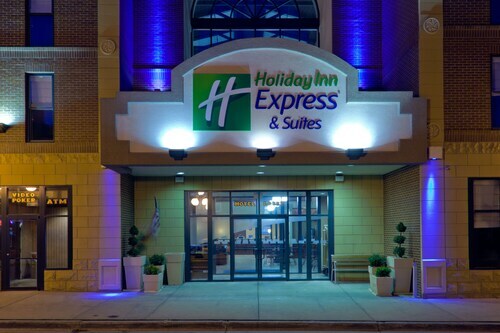 The Holiday Inn Express Hotel & Suites Hill City, can be found 7 miles (10 kilometers) away. Alternative Travelocity-listed accommodation options are the Holiday Inn Rapid City-Rushmore Plaza and the Best Western Golden Spike Inn & Suites. Like to explore further afield? Western South Dakota offers many impressive attractions. Photographers will love Western South Dakota's rolling hills and prairies. You could also visit its archeological sites. Enlightened travelers in this corner of United States of America will enjoy snowboarding, skiing and cross-country skiing. Looking for things to do? You could spend a few hours visiting Dinosaur Park and Rushmore Mall, which you'll find in Rapid City, 18 miles (29 kilometers) northeast of Mount Rushmore. 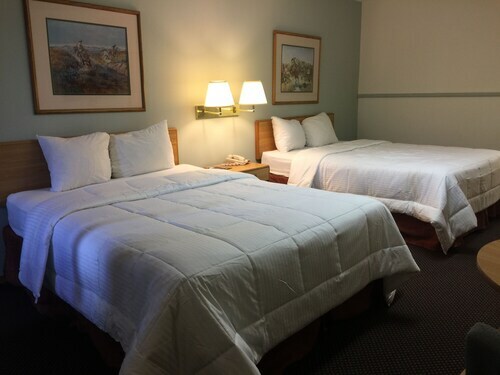 Some Travelocity-listed Rapid City hotels and accommodations include the Quality Inn and Hampton Inn Rapid City. 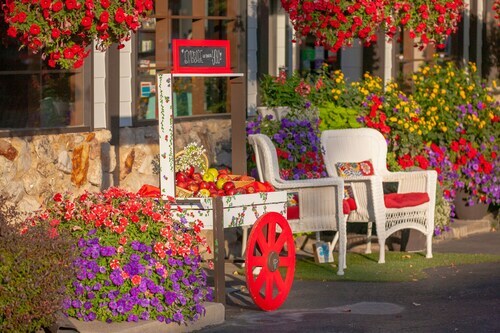 For another option, head to Historic Rapid City, 18 miles (29 kilometers) northeast of Mount Rushmore, where you have the options of the Holiday Inn Express Hotel & Suites Rapid City and Best Western Ramkota Hotel. If you visit Historic Rapid City, be sure to visit the Museum of the American Bison and Main Street Square. Travelocity's hotel guide is also a good way to digest more secrets of Mount Rushmore. 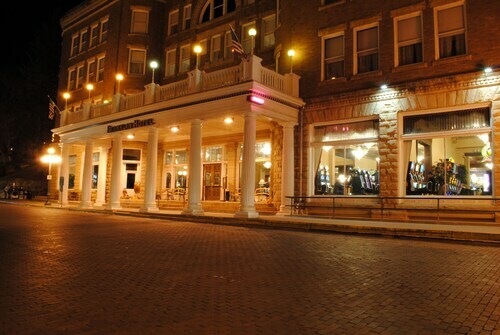 Was a great location to the casinos and resturants in deadwood. Rooms were very nice and breakfast was good. The staff was friendly and very helpful as our travelocity confirmation was different from what the hotel received from them. Will be staying there next trip. Historic feel, great people working there, everything at a convenience. But the upkeep of bed and room needs to be updated. Time for some updated beds, carpet and some overall cosmetics. Other than that, awesome place to stay. Did I mention cold drinks? The staff were very friendly and since I got in at a later time I was the only one checking in so very fast and easy. The parking I felt was not the greatest. In the front of the building there was only a handful of spaces so to check in I just parked in front of the door (not a spot). Then to park to get to my room you had to drive up a one lane driveway around a big turn (they had a mirror) but a very steep hill and get to a back parking lot that let you in on the third floor. The room was clean and nice. I especially enjoyed the jacuzzi tub. I didn’t know how to get to breakfast and wasn’t gonna drive down to the first floor and not have parking so skipped breakfast. 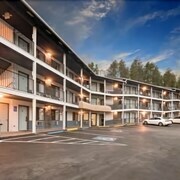 Overall the staff was friendly and efficient and the room was clean and nice! For the price it was wonderful!